Sooo yesterday I headed out to the streets had to meet a friend who wanted me to design and sew a new top for her. While we were talking, we had this idea about the "less is more" looks! So I asked my friend to take some pictures of the style I had so I can share it with you. The pictures are pretty simple, but I sort of feel that they receive you better because it just shows me as a normal, everyday girl who likes to “play” dress-up for a living! I kept the top simple and accented with white high heels in the same color. Thereby, the leggings are given priority. The outfit stands for itself. So there is no need for earrings or any further accessories. By the way, do you know that Ankara style is very popular all over the world? Yes, its true. Famous designers use Ankara to give there fashion a highlight. 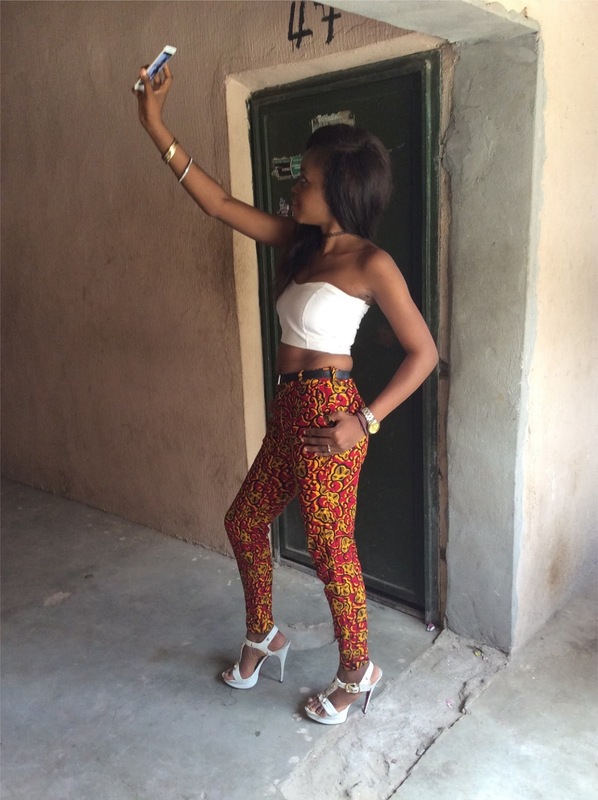 And all over the world, Ankara fashion is known as African fashion. I think we can be proud of that important part Ankara is playing in world fashion. 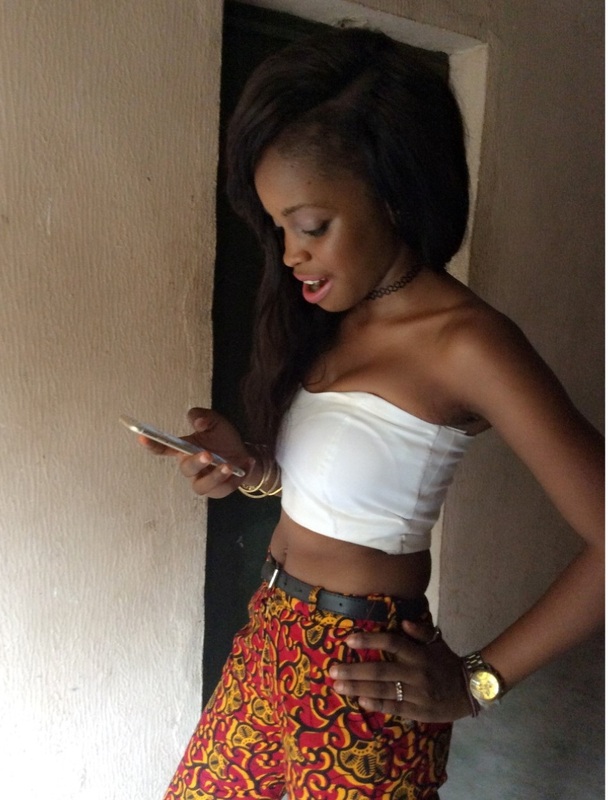 I think I will do some extra articles that will deal with Ankara looks. What do you think? A final thing at the end you always have to remember: If you feel like dressing up as there would be the party of the year – DO IT. There is no overdressing in the world - look your best at all times if you want to. What would the world do without birds of paradise like us? It would be a sad place, right? We are here to make the world look a little bit more beautiful *smile – yes, smile to the world and it will smile back! You never know who you'll run into … imagine the man of your dreams and you don’t look fabulous – you will regret the rest of your life … haha. What I want to show you with my article “less is more” is that dressing chic is not a question of money or time you spend in the bathroom for makeup and acessoires. It’s a question of combining things in the right way and your attitude to present it. It makes you the eye-catcher. And that’s what we want, right ladies? 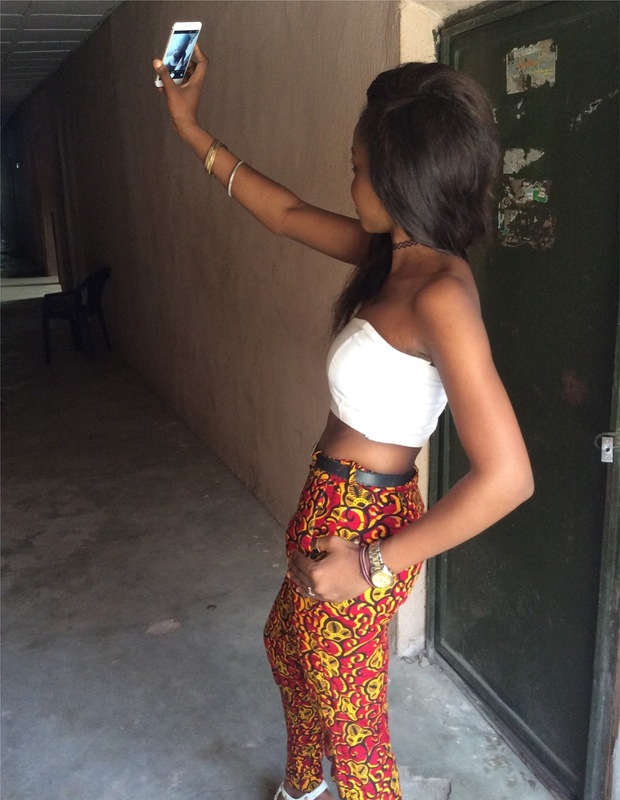 Crop top and Ankara paints are made by myself. You want more Ancara fashion? 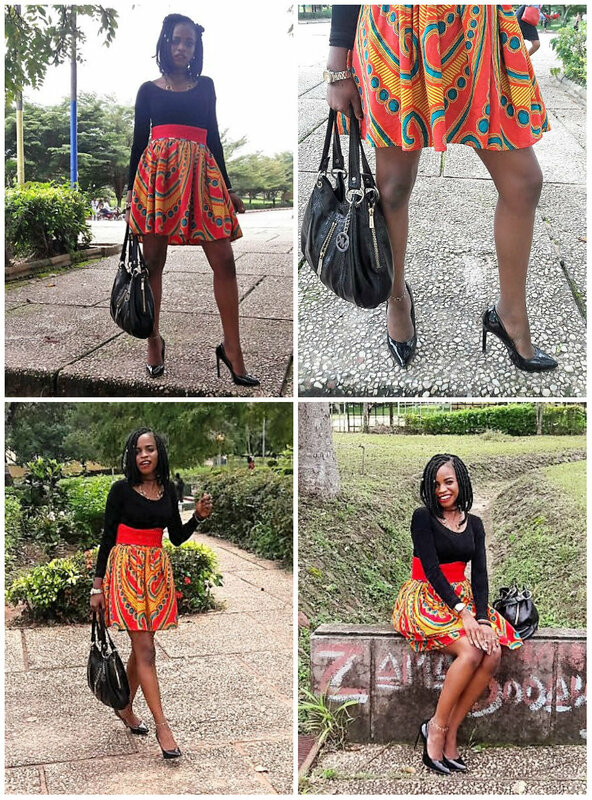 Check my article Ankara Skirt!